Showing results by author "Dr B. R. Ambedkar"
Dr Bhimrao Ramji Ambedkar was one of the most remarkable figures in the 20th century. 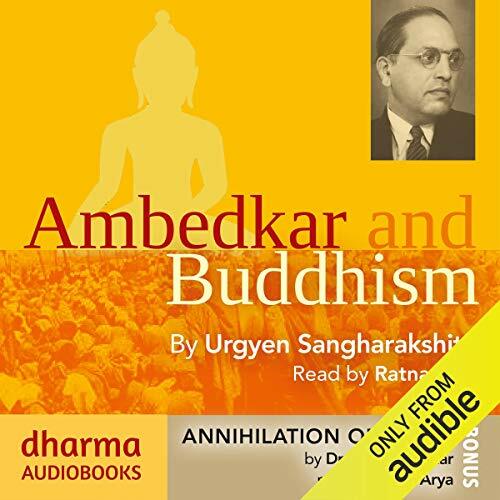 Born an Untouchable - the lowest element of Indian society deemed to be outside the caste system, and literally 'untouchable' - he rose from abject village poverty to become the architect of the new Constitution of India following its independence from Britain in 1947. A combination of exceptional talent, hard work and determination, vision and luck took him to Harvard and the LSE, and then back to his home country. A must-read for every Indian..